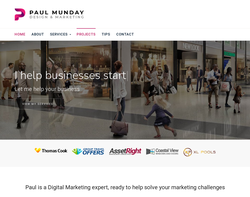 As specialists in E-Commerce and Landing Pages, we aim to provide you with a website that works - that provides you with leads and sales to improve and expand your business. All of our sites include built in SEO to help you move higher up in Google and other search engines. We also code websites to reduce load time, that are mobile responsive and cross-browser friendly, again helping with your google ranking. Due to our strong background in marketing we optimise your website through every stage of the design process. Through developing personas of your target audience to deciding where the buttons will be in order to generate the most clicks. These little details all add up to the success of your website. 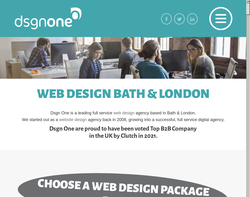 We believe your website should be something you're proud of, delivered in time and in budget. We aim to deliver websites as quickly as possible every time - whether this is for a full blown singing and dancing website or for minor changes, our service levels and dedication remain the same. Overall, we aim to help you beat your competitors by engaging your audience in a way they can't. Consulting, Web design, Branding, Printing , Marketing, Flash games. Domains, Hosting, Website design, Development, Consultation and Maintenance, Graphics, Scripting/Coding, Databases, Internet Marketing, Web copyrighting. 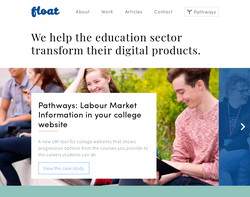 Website Design, Accessibility, Usability, IT training. 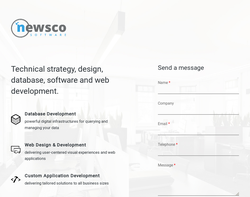 Web design, Content management, E-commerce, Flash Animations, Web marketing, Hosting, E-mail. 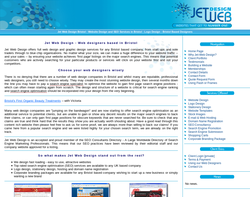 JetWeb Design offer Website Design, Logo Design, Stationery Design, Website Templates, Imagery, Email & Web Hosting, Domain Name Registration, SEO Consultancy as well as other services. 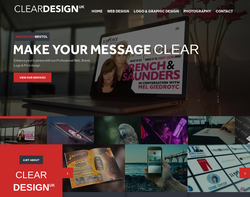 ClearDesign offer a large range of Website and Graphical Design services, as well as Hosting. 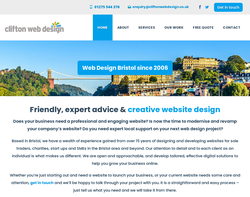 WEBSITE DESIGN BRISTOL specialise in Website Design, SEO, internet marketing and designing web sites that work on your PC, mobile phone and tablets too! 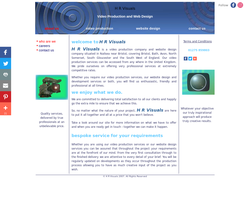 Bespoke web design service for small to medium size businesses. Professional, functional and affordable websites designed to your specifications. We build dynamic database driven websites using ASP on Windows servers for fast interaction between you and your customers. Our prices are extremely competitive. E-commerce, Internet Marketing, Brochure Sites, Publishing services, Corporate reporting and more. 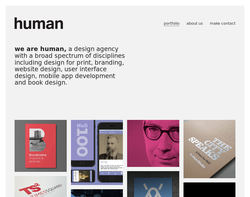 Web Design, Corporate, Identity Creation and Publishing services. 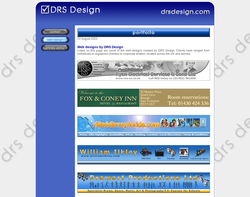 DRS Design can offer you the website design package that is right for you. 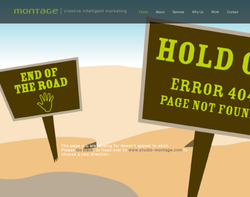 Options range from a professional single page site to complex multi-page designs, depending upon your budget and needs. 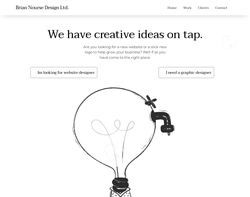 print noir design offer a friendly service, competitive pricing and sublime designs in Bath and Wiltshire, our talents lie in the website design, web hosting and print design sectors. 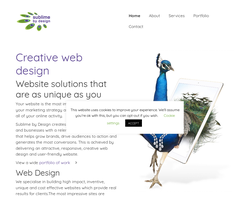 1 page website design package only £99 - includes Free Web Hosting and Business Email accounts. 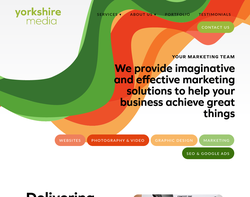 4 page website design package only £449 - includes Free Web Hosting and Business Email accounts. Contact us on [email protected]m for more details. 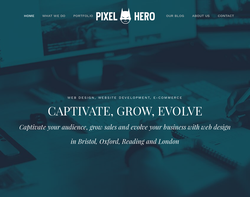 I am a freelance Graphic & Web Designer / Developer based in Bath, providing affordable graphic & web design in Bath and the surrounding areas for small to medium sized businesses able to produce all your Business Collateral. So whether you just need a basic website or a complete corporate identity, I will provide you with a professional service from concept through to creation. 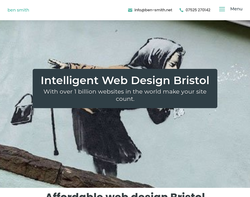 Wattle Web Design, The Only Web Design Agency in Bristol That Make it Easy for you to Win and Retain More Customers Wattle are far from your regular digital agency, we have a commitment to partnering with other businesses so that we can make a real tangible difference and add genuine value. When you partner with us we believe that it should be our goal to deliver above and beyond, every single time. No compromise. We want to partner with companies that are serious about obtaining results and in return we will take it even more seriously adding as much business value as we can, from design and development, to social and CRM with everything else in between that will ensure your success, we exist to go that extra mile for your business. The main focus of WBC Designs is to provide small businesses with a hassle free get on line service. The emphasis is on the idea of service, instead of just creating a website we intend to sell the clients a complete get on line package including handling all aspects of hosting and setting up social media advertising. Other services include digital design for both screen and print as well as photo-manipulation. 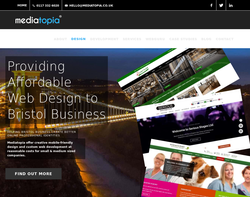 Web design in the Bristol Area. Brian Nourse has been in the industry for over 15 years in both web and print. Brian has worked with clients such as the NHS, Microsoft, Crest Nicholson and many more. Brian designs and builds websites in Flash, CMS and HTML/CSS and also has print based knowledge creating printed literature. 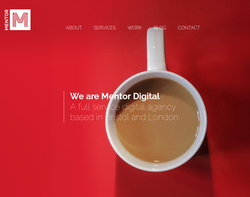 Mentor Digital is an established, full-service digital agency based in Bristol. 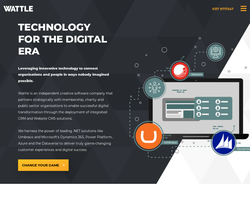 Recently listed in the South West�s top 25 digital agencies, Mentor�s award winning in-house team delivers a market leading range of services including project leadership, web design & development, usability & user experience (UX) testing, and software development. Web Design What do you offer? 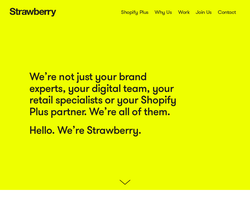 We have to admit, Web Design is not one of our core offerings. However, that does not mean our web design services are inferior to a company that will take search search engine optimisation into account when building you a web-site. 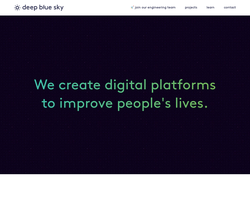 It is simply that we are a Marketing Agency, not a web design company. 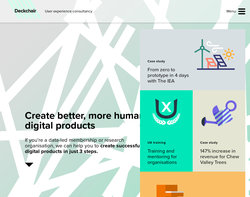 Nevertheless we do recognise the importance of designing a web-site that will satisfy the three main stakeholders: - The Search Engines - Visitors to your website - You Each of these stakeholder groups have their own objectives and criteria. We can discuss these with you should you decide to take up our web design services. There is one thing we will mention at this point though and that is we use a particular Content Management System (CMS) as the basis for the web-sites. If you're not sure what a CMS is we'll tell you below. On the other hand, if you have your own web designer or company looking after you website, or even do it yourself, thats fine. We are happy to work with whoever.  As we said, we are offering much more than a website. Brochure Web Design, Content Management Systems, E-Commerce, Newsletter templates, SEO, Web Development and Website Maintenance. Mediatopia design and develop construction industry style websites. We offer bespoke web design and custom development using our own content management system - WebGuru. We provide superior web hosting, emails and support. 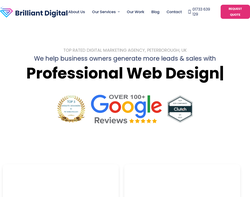 We are a full service digital design and marketing agency, offering everything from branding, web design and development and SEO through to photography and social media management. We are based in Leven, near Hull and Beverley, but have clients nationwide. 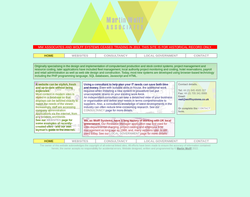 Splashweb is a web agency based near Peterborough. 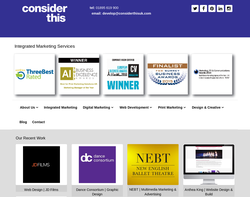 We've been providing web design, web management & digital marketing services for over 15 years. 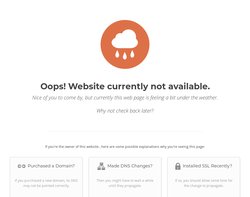 In short, Splashweb build & manage websites. 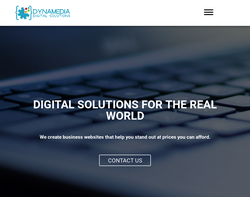 We offer various website solutions for small & medium sized businesses, including ecommerce, ongoing maintenance & support, plus online marketing & advertising services to boost your traffic. 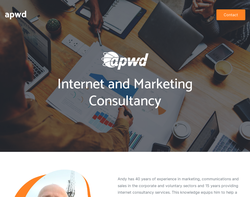 Get in touch for a free consultation about your website. We offer a complete web design and brand development service with additional website management services to take the burden off you. 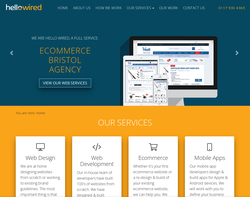 We are Hello Wired, a full service web design & web development agency in bristol, we service the whole of the UK. Our in-house team of web developers, web designers, and digital marketers have built ecommerce websites for over 18 years. 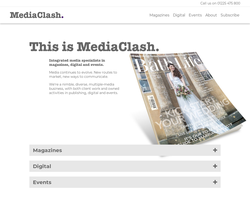 We have built websites for a variety of businesses including luxury skincare, personalised greeting cards, and fashion brands. Our websites and mobile sites are built using the latest technology, are visually appealing, are easy to update, and convert well. Once we have built a website we don't stop there, we also develop and implement successful digital marketing strategies using SEO, PPC, social media, email campaigns, and PR for our clients. 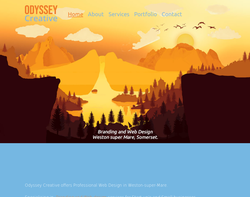 Odyssey is a company based in Weston-super-Mare, that provides professional bespoke Branding and Web design services for small business. All Our Websites are Mobile first , which is now the main type of device used to view the net and responsive so they look great on any device. 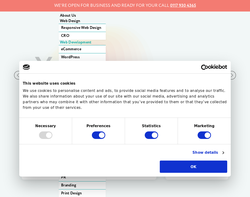 Odyssey doesn’t use templates, you’re solution will be original and unique to your business. 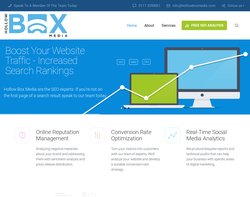 We are Wired Media, a full service web design & web development agency. 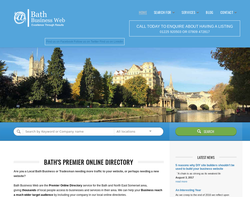 We design and build beautiful, search engine friendly websites. We can handle any part of your online activity, from web design & web development, to ecommerce & mobile apps. And we’ll help you plan your Search, Social & Digital Marketing strategy while we’re about it. 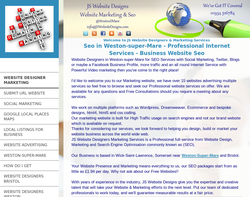 We offer top quality websites at an affordable price. 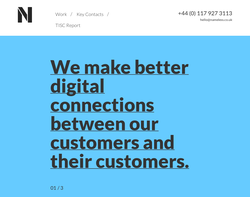 We focus on delivering sites with a purpose. We want everything to look amazing, but most importantly we want your website to convert your visitors into customers.